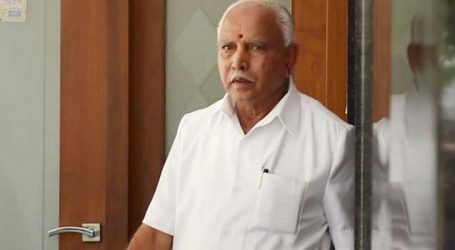 Karnataka Governor Vajubhai Vala on Wednesday invited BJP leader B S Yeddyurappa to take oath as the 23rd Chief Minister of Karnataka at a function to be held at Raj Bhavan at 0900 hrs on Thursday. Disclosing this to media persons, BJP state in-charge Muralidhar Rao said the Governor had given time of 15 days time to Mr Yeddyurappa to prove the majority. The Governor’s decision to invite BJP to form the government came as a shock for Janata Dal (S) and Congress parties which had joined together to form a coalition government with the total support of 117 legislators. Assembly elections which was held for 222 seats on May 12 witnessed a fractured mandate with BJP securing 104 seats followed by Congress 78, Janata Dal (S) 37, BSP 1 and Independents 2. The counting taken up yesterday. However to keep the BJP out of power Congress and JD(s) had come together to form a coalition government forging a post-poll alliance. 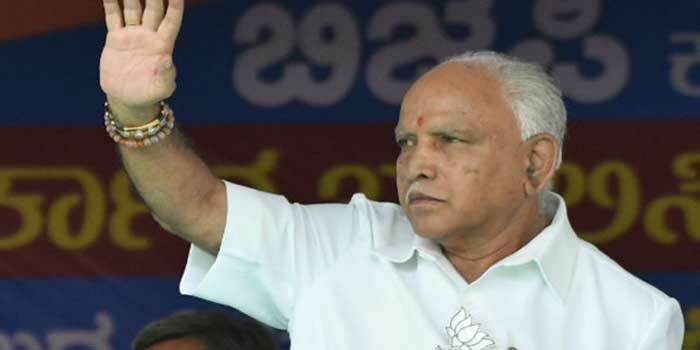 Though BJP had won only 104 against the simple majority of 111 seats as JD(S) chief ministerial candidate H D Kumaraswamy had contested on two constituencies, the Governor invited the BJP as it was the single largest party.